It doesn’t half come round fast – less than 5 weeks until Christmas and before you know it it will be 2011. Make sure you don’t miss out on your sparkly new Headwater brochure which will be winging its way to regular customers in the next few days. If you don’t receive one please let us know and we’ll pop one in the post! Christmas markets are on the horizon, and the Daily Telegraph has graciously published a handy guide (click on the link) in case you would like to treat yourself to a Christmassy city break before the end of the year. 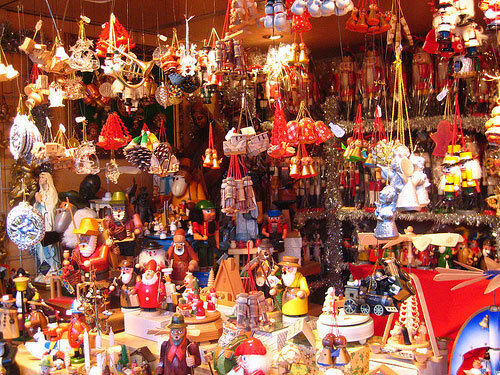 Don’t forget that you can book many of the places mantioned like Salzburg, Vienna, Budapest, Prague and Barcelona (yes they do have a Christmas market called the Fira de Santa Llucía fair!) right here at Headwater so just call us and ask! In the mean time sit back, relax and peruse the delightful offerings available in our new brochure – a genuine feast for the senses awaits, and if you book for 2011 by 17 December you’ll enter a draw to receive your holiday absolutely FREE!